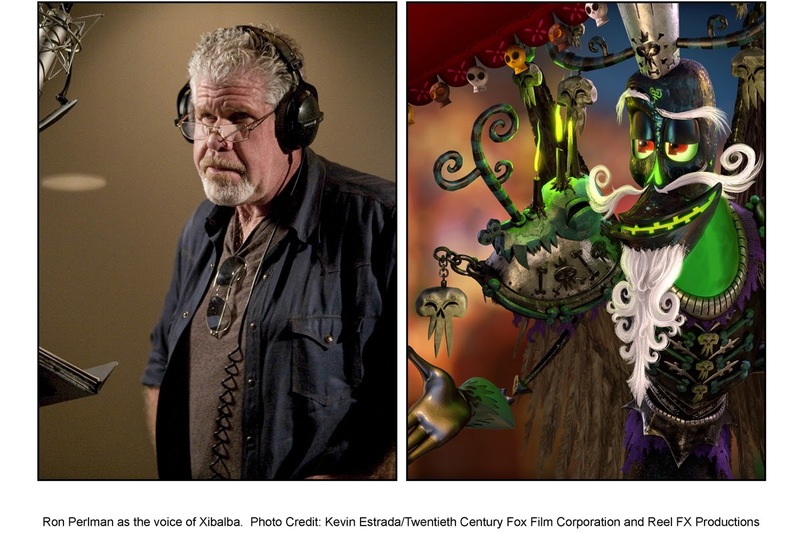 Director Jorge R. Gutierrez's love for family, tradition and storytelling created a truly singular, a first of its kind animation in "The Book of Life" where it will reveal never-before-seen characters and will take the audience in three fantastical worlds - the town of San Angel, The Land of the Remembered and The Land of the Forgotten. 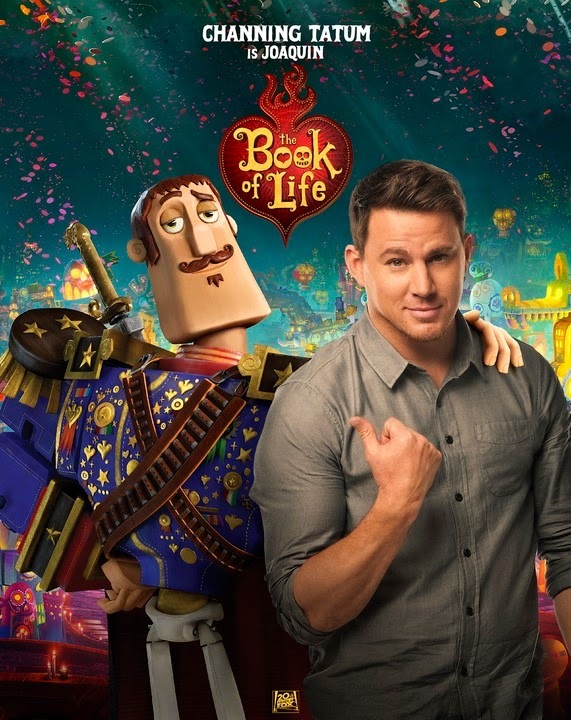 "The Book of Life" is also about remembrance and cherishing memories composed of a voice cast led by Channing Tatum, Diego Luna and Zoe Saldana, along with multi-talented actors Christina Applegate, Kate Del Castillo, Ice Cube and Ron Perlman. 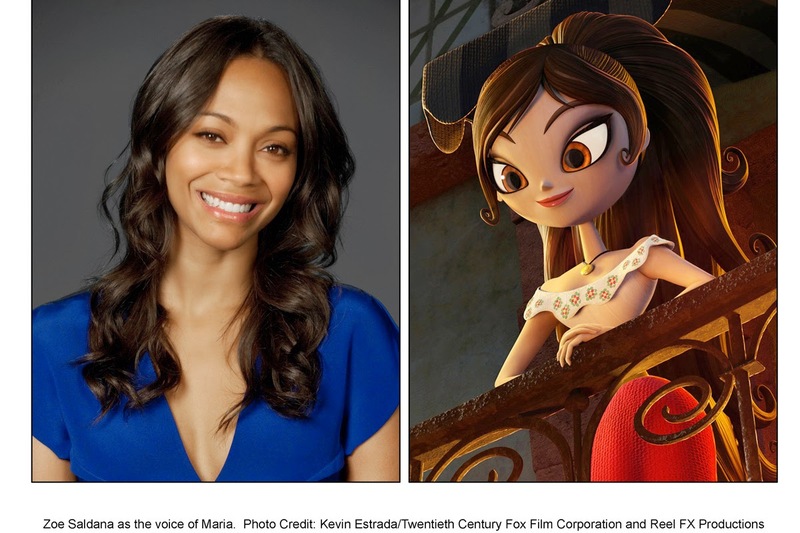 In the movie, following Maria’s (Saldana) return to San Angel, she is reunited with her best friends Manolo (Luna) and Joaquin (Tatum) at the bullfighting arena, where Manolo is preparing for his first match. Manolo, like all the Sanchez men who preceded him, battles bravely and skillfully. But unlike his forebears, when the moment comes for Manolo to finish the bull, he refuses. The whole town turns on Manolo, including his father who feels terribly let down. Moreover, Manolo fears he may have thrown away his chance to woo Maria. As if bucking family tradition wasn’t enough of a barrier to Manolo’s romantic pursuits, two other principals have thrown themselves into the romantic triangle, and they’re betting it all on who ends up with Maria’s hand. The battling husband-and-wife deities La Muerte (Del Castillo) and Xibalba (Perlman) have made a wager, and the stakes for all of them couldn’t be higher. Resolute in her belief in the fundamental goodness of mortals, La Muerte puts her faith in Manolo. If he succeeds in winning Maria’s hand, then La Muerte will remain the beloved ancient god who oversees a wondrous world called The Land of the Remembered, and Xibalba must stop his meddlesome ways with humans. Whe the La Muerte and Xibalba's wager started, Manolo gets swept up in the parade of his ancestors, who to Manolo are superheroes he’s been hearing about his entire life. But his joy is tempered when he discovers that Maria is not there – and indeed never made the journey to The Land of the Remembered. With the support of his ancestors, Manolo embarks on an extraordinary mission to find La Muerte, who is the only one who can help him return to San Angel. But first, he must travel to a portal, the Cave of Souls, between all the magical lands. There, Manolo meets another spirit, the Candle Maker. With a body made of wax and a beard made of clouds, the Candle Maker is a larger than life – and kind of nutty – ancient god. He makes billions of candles, with each candle representing a life. 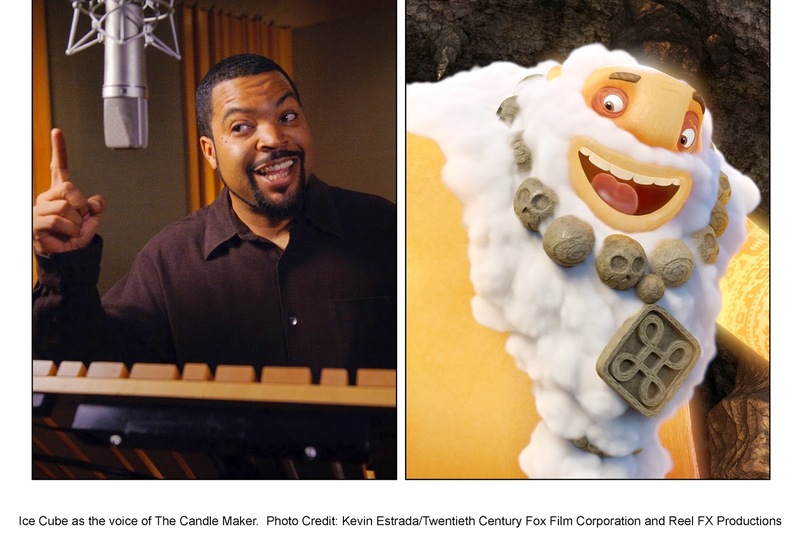 “The Candle Maker looks over – and geeks out over – humanity,” says lead animator Eric Dobrile. Manolo’s feisty and quick-witted great-grandmother, known simply as Grandma (voiced by Grey Griffin), is sure to become another audience favorite. Short in stature but long of whisker and tough to boot, Grandma is more than a match for the men in her family – past, present and future. “Grandma’s kind of seen it all and been through it all, and she’s kind of our Peanut Gallery,” says producer Brad Booker, who adds that she’s his favorite character in the film. 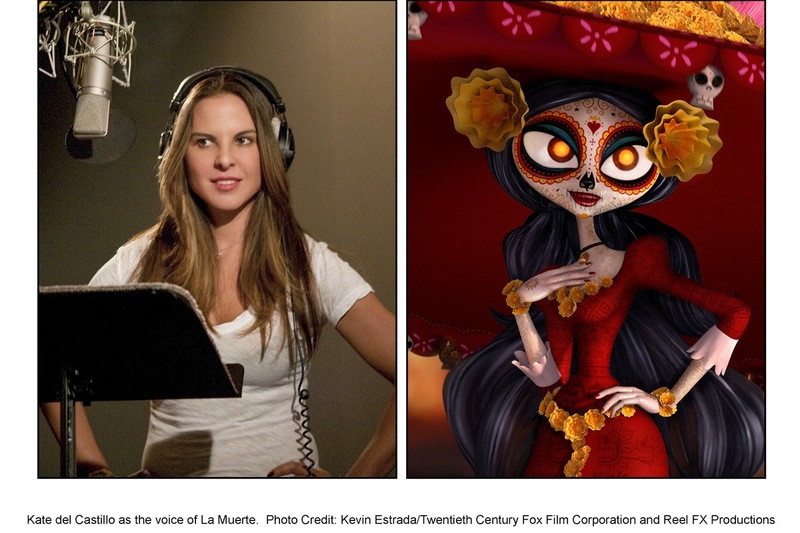 "The Book of Life" (2D and 3D) opens nationwide in cinemas on October 16 (Thursday) from 20th Century Fox to be distributed by Warner Bros.